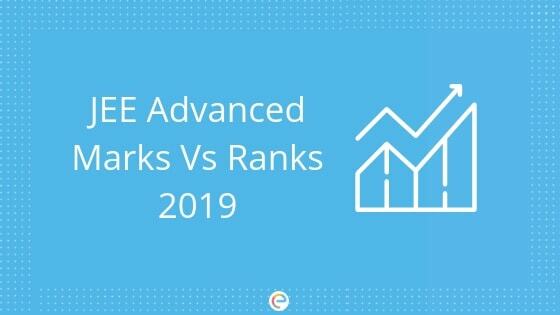 JEE Advanced Marks Vs Ranks 2019: JEE Advance is the gateway for admissions to IIT. It is the second stage of the JEE exam. Every year around 14-15 lakh students appear for JEE Main exam out of which about 1.5 lakhs students qualify for JEE advance. Out of the candidates who are eligible for JEE Advance only a few thousands of students are further selected for the counselling and seat allotment in the respective colleges. JEE Advance Exam is tentatively scheduled by May 2019. We will update you regarding the upcoming updates on JEE Advance. This article will provide you with detailed information of JEE Advanced 2019 Marks vs Ranks as per previous year data. Read on to find out everything about JEE Main Advanced Vs Rank list. Below is the Marks vs Ranks data for JEE Advanced (IIT JEE), i.e. the marks required for a particular target rank. Many students have benefited by learning at Embibe because the concepts are explained comprehensively. A student gets sufficient time-based practice and explanation of the relevant questions. Finally, with the unique mock tests, a student can get the detailed analysis of the performance which gives enough opportunity to students to rectify their deadlocks and proceed towards success. Don’t believe us? Read the success stories at Embibe before you find it out for yourself. We hope that we have answered your queries regarding JEE Advanced Marks Vs Ranks. If you have any questions feel free to post it in the comment box below. We will get back to you at the earliest. 2017 jee advance 200marks common rank 6400 and for 200 marks general categorie rank 2400 which rank will be for joining IIT.Send dout plz.